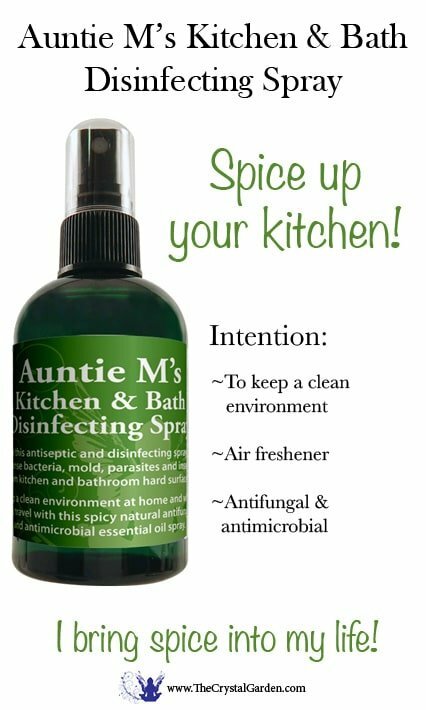 Auntie M’s Kitchen & Bathroom Disinfecting Spray 4 oz. Use this antiseptic and disinfecting spray made with The Crystal Garden Brand high quality essential oils to cleanse bacteria, mold, parasites and insects from kitchen and bathroom hard surfaces. Keep a clean environment at home and when you travel with this spicy natural antifungal and antimicrobial essential oil spray. The essential oil formula was an inspiration in the kitchen, received by Margaret Ann Lembo, award winning author and aromatherapist, while cleaning her own counters with essential oils to remove harmful bacteria from her kitchen counters. It also smells like the Holidays so it’s perfect to use to freshen up the air from cooking odors. 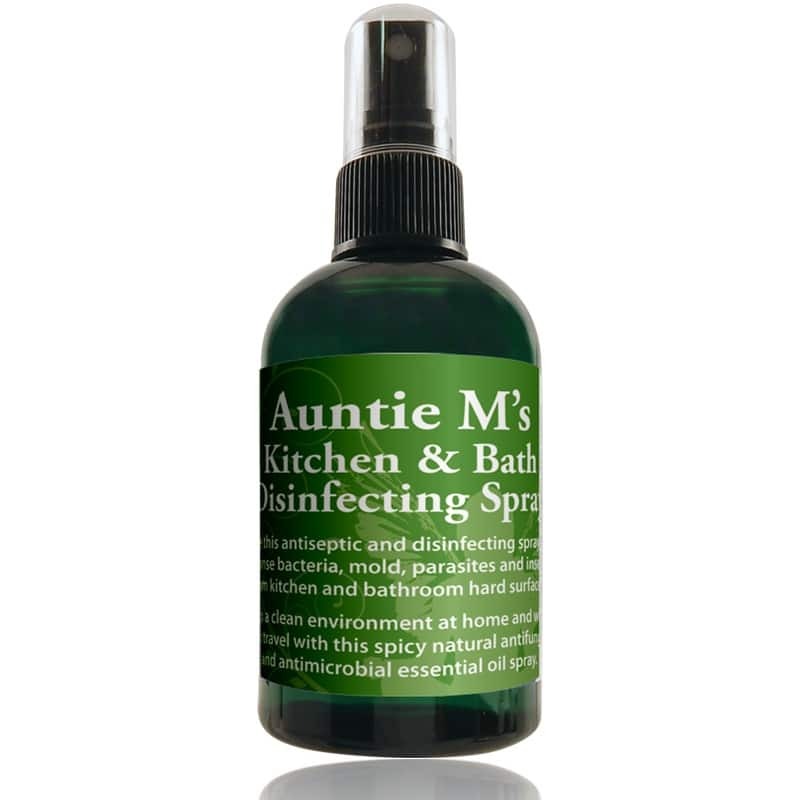 Use this antiseptic and disinfecting essential oil spray to cleanse bacteria, mold, parasites and insects from kitchen and bathroom hard surfaces. Keep a clean environment at home and when you travel with this spicy natural antifungal and antimicrobial essential oil spray.